We have had a lot of customers asking about how to open one gallon cans of Polyurea or Rust Bullet with the white plastic rings. We find this video to be very useful. The 5 Gallon cans have multiple tabs that need bent back. We do carry special tools for opening the 5 Gallon Rust Bullet and Polyurea coatings. Typically they are not necessary. One common question we get from customers is about mixing Rust Bullet. 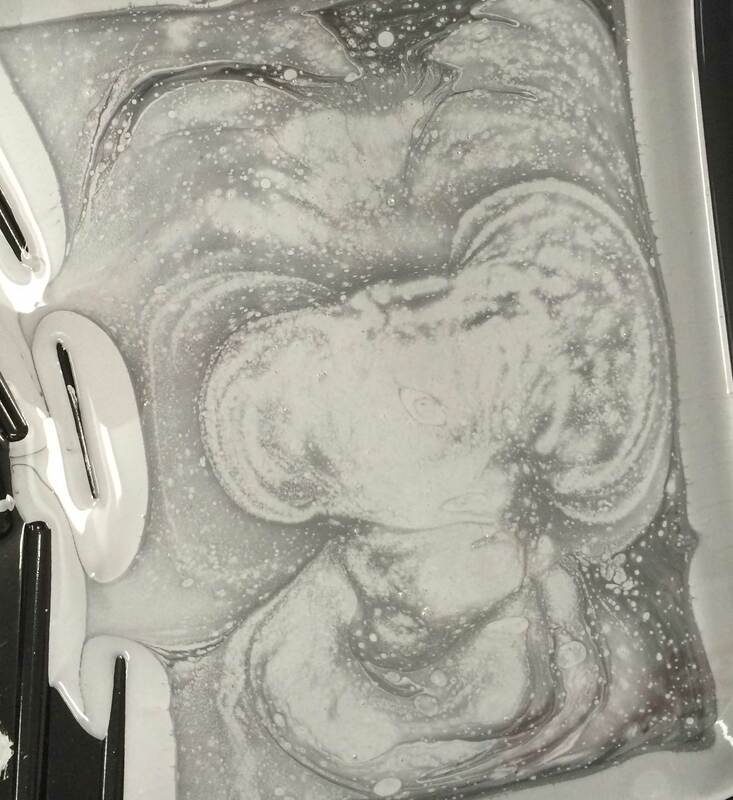 After the product is mixed for 3 minutes, it is not uncommon for it to look like the image . There is no need to panic. This is completely normal. Of course, if you have concerns, please do not hesitate to contact us. This test is considered the toughest test for weathering a coating can undergo. Check out how Rust Bullet performed. Taber Abrasion tests are an industry accepted method of determining how well a paint or coating will hold up to the constant wear and tear and abuse it will suffer in various applications. This particular test is very appropriate to the abuse a garage floor will take. Rust Bullet coatings stand up incredibly well, especially when compared to the competitors. In this test Rust Bullet adhesion is tested after being scored and an adhesive tape being ripped off. Rust Bullet tested at 100% as did some of the competitors. As you will see in the coming posts….